The full description and technical specifications of every single seater that had a part in obtaining the World championship titles for drivers and contructors. 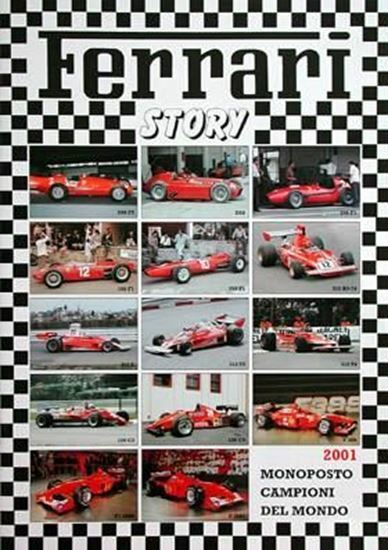 On the cover: the 14 Ferrari single seaters described in this issue are shown in order from to bottom and from left to right. They are: 500 F2, D50, 246 F1, 156 F1, 158 F1, 312 B3-74, 312 T, 312 T2, 312 T4, 126 C2, 126 C3, F399, F1-2000, F2001.